Producing timely and accurate results in the race environment is often a challenge. Readers must perform by reading multiple tags while dealing with motion, distance, crowding, demanding environmental conditions and a variety of materials. Microgate has chosen IPICO Sports timing systems that are designed to meet this challenge. IPICO Sports award winning products satisfy the demands of events of all types and sizes. The technology is designed for road running, Cross-Country, triathlon, cycling, mud runs, swimming, Nordic sports, and fitness assessments. Whether you are timing a small local run or an internationally renowned marathon, IPICO Sports systems can scale for your event. 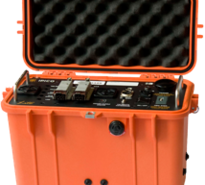 The timing system is designed to be simple to setup, easy to use, and produces accurate results. 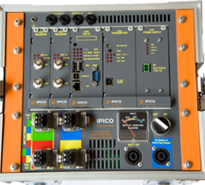 IPICO Sports timing equipment has been used at many worldwide marquee events such as Tokyo Marathon, London Marathon, Ironman Brasil, Olympic Trials, etc.